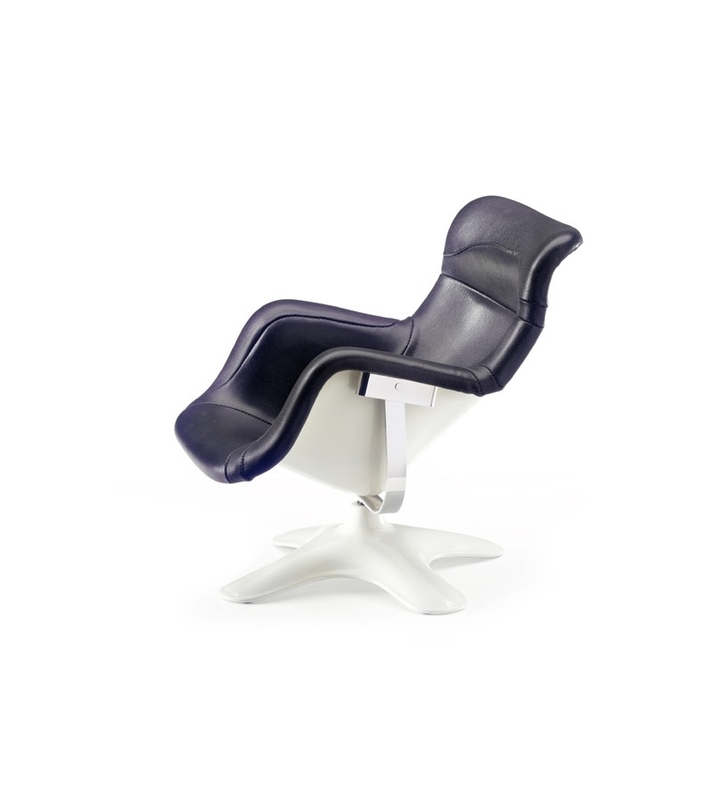 Vitra Miniature Karuselli, Kukkapuro: The idea of creating a glassfibre chair based on humanbody’s shape was planned already in late 1950s. Glassfibre, the new material, was just invented and came to Finland in late 50s but was very expensive to use. Vitra Miniature Karuselli, Kukkapuro: The idea of creating a glassfibre chair based on humanbody’s shape was planned already in late 1950s. Glassfibre, the new material, was just invented and came to Finland in late 50s but was very expensive to use. Kukkapuro realized the first model in 1958–1959 and in early 1960s when glassfibre became cheaper Kukkapuro continued the development of Karuselli which finally was produced by the Finnish furniture company Haimi Oy in 1964. 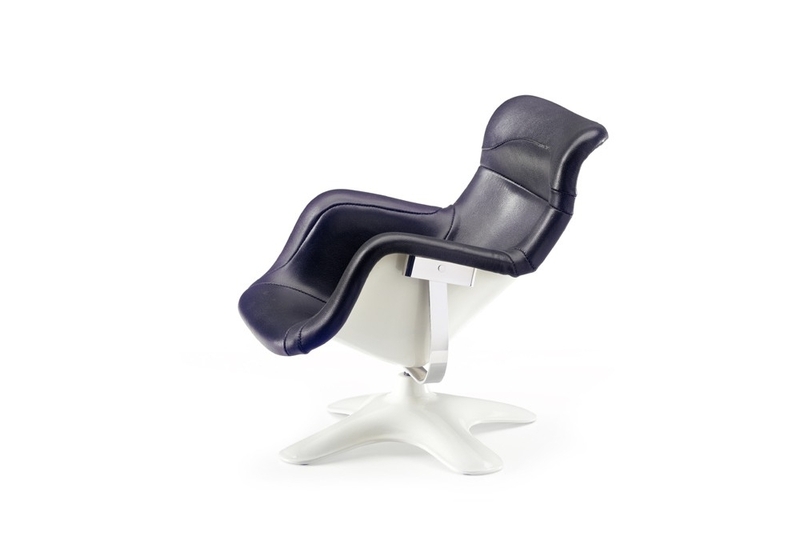 The chair was designed to provide a relaxing sitting position as possible. The basic shape has been obtained through the use of flexible steel mesh and conforms with the human anatomy. The swiveling seat which was of fibreglass reinforced polyester was connected to the base by an intermediate steel spring and rubber dampers. The seat shell and base were coated with semigloss plastic paint in the colours white and black. For upholstery only leather was used. Polyurethane resin, leather, metal.